By many, a Semantic Web is seen as the future of the Web, in which enabling automated agents to access the Web more intelligently and perform tasks on behalf of users, so that it is easier for users to find, share and combine information. However, to accomplish this it is argued by scientists and theorists that a more complex and improved technology is needed to create Web sites to make it possible for machines to accurately interpret web content. The emergence of Siri, the new personal assistant application for iOS, may just be the start of this process. Siri has the capability to revolutionize how we interact with machines. 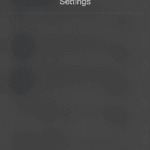 So far, Siri is still beta and its capabilities are limited for now. 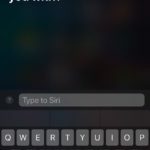 Apple will continue to improve Siri. 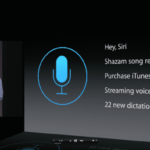 Soon, third-party applications will be allowed to access Siri. However, I believe Siri will be evolved in a much more complex technology. Soon, many other technologies (e.g. cars, refrigerators, televisions, etc.) will be able connect to Siri, and then we will do a lot more with Siri. Siri will know what time we wake up, what time we get home and respond to all of our complex requests. Siri will know that I am going to watch American Idol on Mondays and will turn on the television automatically and alert me when American Idol is on. Siri will check my calendar and if I am not going to be available to watch American Idol, Siri will record the show and even find an appropriate time for me to watch. What about international siri fans? When Siri will understand Chinese? Cool! but sounds like a fantasy, for sure.